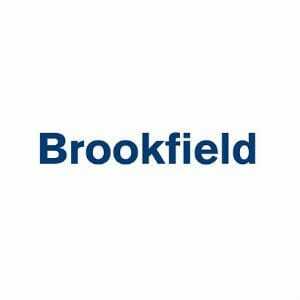 Brookfield Asset Management is a leading global alternative asset management company focusing on real estate, infrastructure, renewable energy as well as private equity. The firm operates through Brookfield Property Partners TSE:BPY.UN, Brookfield Infrastructure Partners TSE:BIP.UN, Brookfield Renewable Partners TSE:BEP.UN and Brookfield Business Partners TSE:BBU.UN. The firm serves institutional and retail clients through its four partnerships. The number of average client commitments and their size have both increased over the last few years. Infrastructure investments account for the largest portion of investments at 45%, followed by real estate (20%), private equity (20%) and renewable power (~15%). Over 85% of its revenues are long term or perpetual. Brookfield Asset Management has a large global presence in over 30 countries which grants it a competitive edge for proprietary deal flow. Brookfield Asset Management invests in North America (86% of funds deployed), Europe (8%), South America (5%) and Asia (1%). The businesses of Brookfield Asset Management are highly diversified by asset class and geographies. Brookfield Asset Management earns base management fees from private funds which provide stable fee revenues. In 2018, fee related earnings grew by 26%. With a long experience of 120 years of owning and operating real estate, Brookfield Asset Management has become a leading global asset manager with over $350 billion worth of assets under management (growing at 15% CAGR in the last four years). The firm invests in large asset classes – i.e. segments worth $50-$100 trillion. It focuses on investing in long-life, high quality assets at favourable valuations and financing them through low cost, long-term capital. Brookfield Asset invests in businesses that form the backbone of the global economy and seek to give long-term returns. This enables the firm to generate steady cash flows and make operational improvements. The firm reported a 10% increase in its fee bearing capital in 2018, leading to higher management fees, incentive fees and carried interest. Future growth is expected to continue through 2022 at a rate of 14% CAGR, which should support strong growth in fee related earnings. Its real estate, infrastructure and private equity flagship funds are now 95%, 75%, and 90%, invested or committed. The firm is looking at big opportunities to increase its private fund investor base in Europe and parts of Asia. As a leading alternative asset manager, the firm is favorably positioned to benefit from the growth of global capital inflow into alternative assets, and huge institutional investment in real assets. Brookfield Asset Management is a Canadian Dividend Aristocrat with a sound track record of raising its dividend. It has compounded its dividend at 8.8% over the last five years. The firm recently raised its payout by 6.7% and sports a yield of 1.4%. It pays out nearly 30% of its cash as dividends to shareholders. Brookfield Asset’s long standing relations and reputation enable it to raise billions of dollars from institutional investors easily. The firm also has access to multiple sources of capital. The size and liquidity of its balance sheet further grants financial flexibility to pursue future transactions. Brookfield Asset is in a good position to leverage its expertise and generate attractive total returns over the long term. Worldwide presence, a highly liquid balance sheet, strong investment expertise across asset classes and ownership of diversified assets differentiate Brookfield Asset Management from its competitors. Brookfield Asset has a good history of generating strong cash flow, which should continue to increase with growing fee bearing capital. The firm also earns long-term stable cash flows from its capital invested (alongside its investors). These cash flows should continue to grow at 5-9% annually. Its fee related earnings have also grown at a CAGR of 31% in the last four years. Brookfield Asset is paying out nearly $600 million in common share dividends currently which should continue to grow as its operations and asset management business expands. The firm generates over $1.8 billion of cash on an annualized basis, which is freely available for distribution and reinvestment. This cash (before carried interest) is expected to more than double over the next five years. Brookfield Asset management competes with various private equity firms, asset management and wealth management companies, and financial services companies. Onex Corp, CI Financial Corp, IGM Financial Inc, Fiera Capital Corp., Fairfax India Holdings are few of its competitors. Brookfield’s large scale capital provides it a huge competitive advantage over its peers. Brookfield Asset Management benefits from its large global funds operating in multiple asset classes, and best in class investor services. Real assets and alternatives provide an attractive solution to institutional and retail investors, and Brookfield as a leading alternative asset manager, should benefit from this trend. The firm aims at delivering in excess of 12%-15% compound returns. Contractual fee revenues and solid annual free cash flows should support stable future distributions.